Jackets There are 8 products. 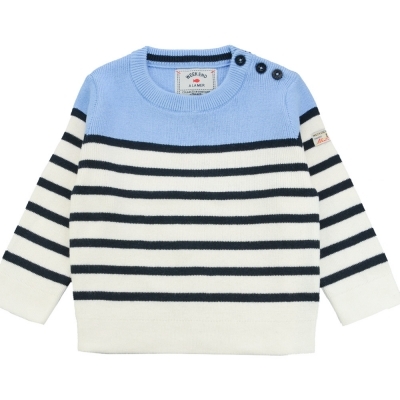 Superb navy-striped ecru sweater, with long sleeves, for baby boy. It has a blue sky yoke on the upper part of the model. 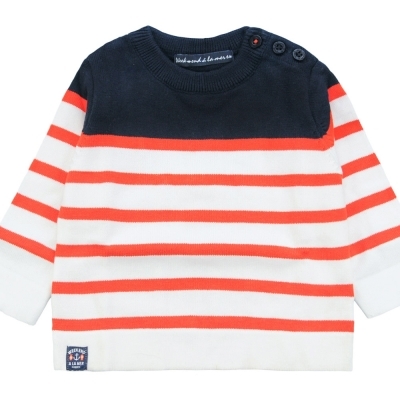 Superb navy-striped ecru sweater, with long sleeves, for baby boy. It has a yellow yoke on the upper part of the model. 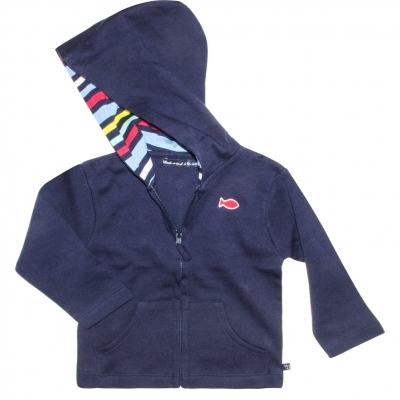 Reversible jacket, with hood, for baby boy. One navy side, sprinkled with superb nautical prints, it has one "Week-end à la Mer" patch on the chest and 2 front pockets. The reversible side is all over navy-striped white, and also has the patch embroidered on the chest. 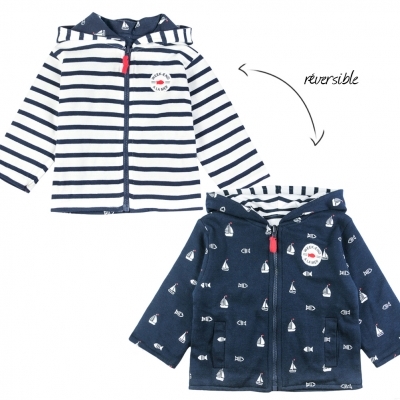 Both soft and comfortable, this superb sweater, made in thin stitch, will highly delight your little sailor ! Orange striped white, the upper part of the model is red and brings a very fashion touch. It has a crewneck with buttons on the shoulder. 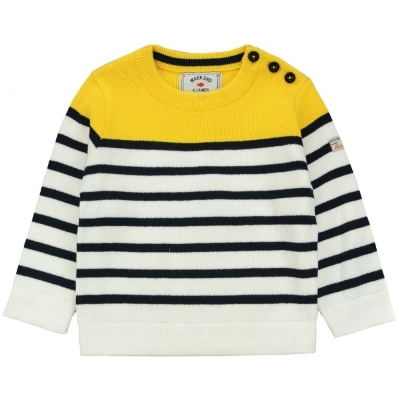 Both soft and comfortable, this superb sweater, made in thin stitch, will highly delight your little sailor ! Navy-striped white, the upper part of the model is red and brings a very fashion touch. It has a crewneck with snaps on the shoulder, and a super patch on the sleeve. 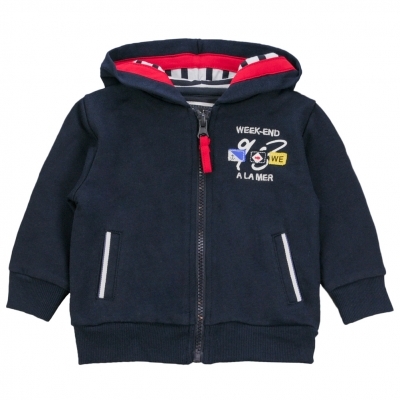 Navy hooded sweater and long sleeves, for baby boy. Navy felt jacket, for baby boy. Its hood has a white navy lining to ally style and protection. We note its elasticated edge-coasts, its raglan pockets and its nautical pattern on the chest. 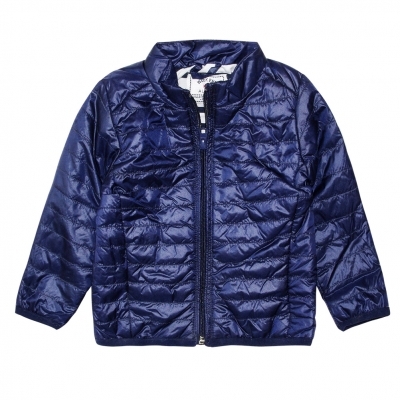 Superb navy down jacket, with long sleeves, for baby boy. All over lining, the inside of the model is made in a navy-striped white cotton jersey. It has a Week-end à la Mer patch on the left arm and 2 discreet pockets. This down jacket is ideal for family outing this season !